The Sirocco is the rotomolded version of our popular Gulfstream. This kayak appeals to a broad market of paddlers who crave performance yet want a boat that is user friendly. 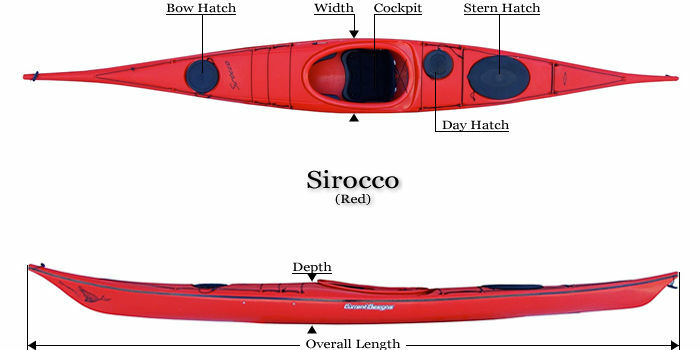 Designed by Derek Hutchinson, the Sirocco boasts the same tight turning, quick paddling qualities of the composite version in a lower cost rotomolded construction. The Sirroco is an example of innovation at its best. Skeg, back band, and day hatch come standard.